I’m a philosopher and writer based in Toronto, researching in early modern natural philosophy and mathematics, the theory of time, and the infinite. See research interests for details. See also latest news. It is now 50 years since I began teaching (in Nairobi, in 1969), so last July I decided it was time to retire so I could concentrate on research and writing. I am now Professor Emeritus at McMaster University (Hamilton, Ontario). I have two new books. 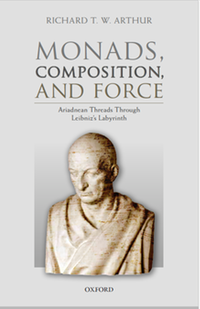 The first, Monads, Composition, and Force: Ariadnean Threads through Leibniz's Labyrinth, (xv + 329 pages, Oxford University Press) came out at the end of 2018. In it I offer new insights into Leibniz's theory of substance based on his solution to the labyrinth of the continuum, presenting it as a highly original account of the composition of bodies and motions that is neither phenomenalist nor materialist. 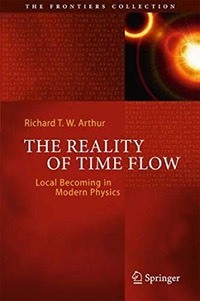 The second, The Reality of Time Flow: local becoming in modern physics (vii + 304 pages in ms.), will be published soon in Springer's Frontiers Collection in July. In it I defend the reality of (local) becoming in modern physics against the multifarious objections of philosophers from the Ancients through Russell to Smart, Grünbaum and Putnam, and physicists such as Barbour and Rovelli. Also available, my An Introduction to Logic, Using Natural Deduction, Real Arguments, a Little History, and Some Humour (Broadview, 2017)— 2nd (retitled) edition of my Natural Deduction. Adopt it for your classes, or buy it to learn logic on your own! 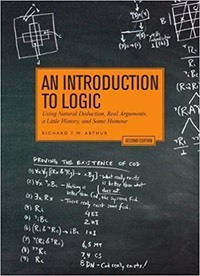 It’s inexpensive for a logic text (~$40), and perfect preparation for LSAT, etc.! For the general reader, I recommend my Leibniz, (Polity Press, 2014), where I give a fresh overview of the great German polymath's thought, with emphasis both on its roots and its contemporary scientific and philosophical relevance. I have been invited as a speaker and given numerous talks around the globe during the past year—in Irvine (California), Ottawa, Dubrovnik, Milan, Montreal, Paris and Prague. See conferences and latest news for details.